In + 4. Can’t wait. I was really hoping to see them in the finals but semi finals match up is still good, lets hope the boys are firing on the cylinders on Sat night to give it to the smurfs! 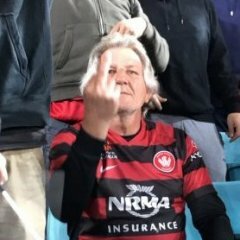 Can anyone tell me which bays at Penrith are the Wanderers active support bays? Going to buy tickets now and want to be in the best spot closest to the active bays as possible. Also, which are the away bays? I want to be as far away from them as possible. I believe WSW active bays 31, 32 and 33.. He will pick players who are for and have the mental toughness to play in a decent and cup semi-final. Cagey on Mahazi. If the video in the background was current, then both Baccus boys appeared to be there. Not very confident given who we're missing, but **** it, it's a derby at a proper football stadium! Have the smurfs got anyone out? 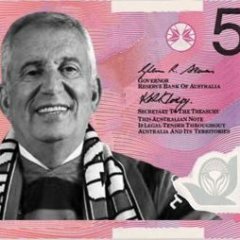 De Silva may be out. 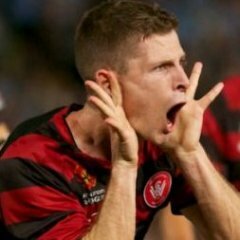 Warland out for 6 weeks. Please not another ******* derby loss. Three a season is already pushing it. Well Foxe had one in the bag last season and failed to make the right subs and got a draw. Woke up to the (welcome) sound of rain this morning. Confusion set in when I realised it’s not actually game day. This was followed by disappointment when I realised I had to get my arse out of bed and go to work. The disappointment was replaced by anger when, As I tip toed my way into the bathroom in the dark, (even though my wife was dead to the world, I didn’t want to risk disturbing her), i discovered with my feet that cat had **** on the ******* floor (which in hindsight probably explains why the little **** wasn’t on the bed). Football is an emotional roller coaster. In x 2, the farmers can thank the club for making it this far I think. Surprised at how short the smurfs are with the bookies given they have struggled in their 2 games so far against NPL teams. Not been much publicity, par for the course I guess. pretty bad numbers for a derby especially being a cup semi final. Both games are on foxtel. Just bought two tix. Western stand. More interestingly, I just bought 2 active tickets for the derby in Round 2. PAX was only 4635 and 4636. Selling very slowly. Where is the cat's litter tray?? And if he doesn't use it, maybe it needs "refreshing" more often - so to speak.